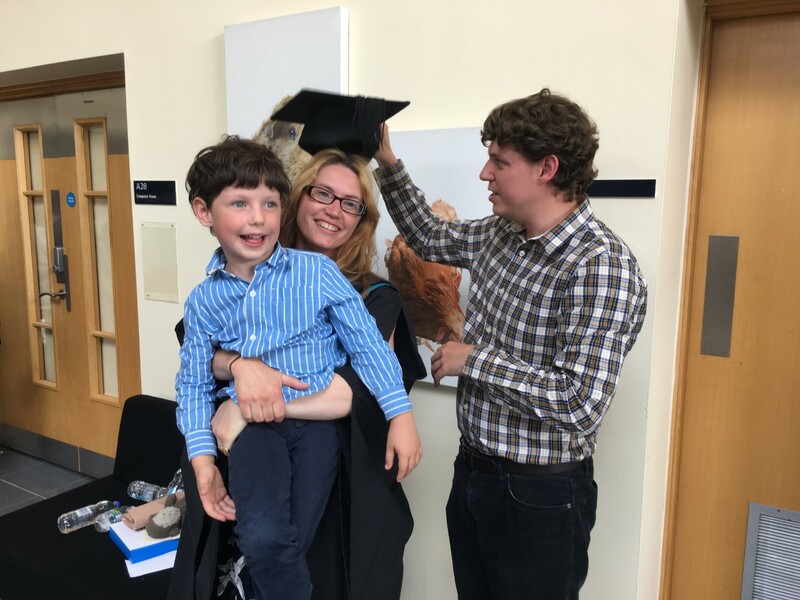 Having spent most of my twenties building up a career in publishing, if I were to go back in time and speak to my earlier self, I would never have believed that I’ve spent most of my thirties being a wife, mother and full time vet student. The decision to go back into full time education, and move from a secure and well paid job, was not one I undertook lightly. To be honest, the prospect of it terrified me. When I felt the need to change careers I spent a long time looking at the different options available to me and as I like lists and my husband likes lists, I wrote a list. It was a long one. Divided up into different sections (aka the amount of effort required to work in each industry and how much it would cost me to train), I considered any job that I felt was interesting. Some needed no further training, others such as International Development only required a masters degree, many needed a PhD or undergraduate degree before I could start work. In the end the career I felt most drawn to was Psychiatry. Despite having always wanted to be a vet, veterinary medicine was not even included on the list, due to the expense of the course. Eventually finished I showed the document to my husband explaining that I wanted to do Psychiatry. He took less than 2 minutes to scan the document before telling me to just go to vet school and that was it the journey had begun. Accepting my place on the vet course at the University of Nottingham was both exciting and terrifying. In doing so I and my husband were giving up everything we had known so far in our adult lives, good jobs, a house in Oxfordshire and a strong social group, to move us into the unknown. Unable to spare much time we could only afford to spend a week looking at houses to buy, finding a nursery for our son and a livery yard for my horses. If I could offer one piece of advice for anyone who wants to relocate and not send their stress levels through the roof – spend more than a week finding out about the area. Being on the vet course has given me experiences and tools for life that I doubt I would have ever found otherwise. I have grown in confidence, met amazing people and we have even decided to settle permanently in the area. We put a lot of research into preparing ourselves for this endeavour and it has paid off. Don’t get me wrong, it hasn’t been a walk in the park, funding the course has been difficult but it led to me setting up my own business which has helped support us through the last few years. The hours have been long and my five year old son had his own ‘work’ and ‘revision’ that he liked to do while I was studying for exams. My husband and I have come out of the process tired, poorer and with rather more grey hairs than we had when we started but I wouldn’t change what we have been through. We are stronger and more of a unit than ever before and graduating in front of my family this summer with honours has made it all worthwhile. Make sure it’s something you really want to do. If you can’t see yourself doing anything else then go for it. If you can then don’t. There are times where the whole process seems completely overwhelming. To get through them you have to really want your goal. Those who don’t make it are the ones who aren’t sure it’s truly what they want. If things seem too tough, remember why you’re doing this in the first place. Prepare thoroughly. Find out what hoops you need to jump through to get on the course and jump through them. If you need to get further qualifications or improve the ones you already have then arrange for this to happen. If you are not willing or comfortable doing this then maybe that’s an indication that it isn’t the right career for you. Get your finances in order. A career change is generally not a cheap option. Whether it’s taking a pay cut while you work your way back up the ranks or becoming a full time student, investigate financial options in plenty of time and start saving. There’s nothing worse than not being able to finish a course because you can’t afford the tuition fees. Brush up on your study skills. There are lots of brilliant resources available online and in book shops to help you study effectively. If you are older, it can feel as if your brain has to work harder to keep up. By revising how to revise and other useful skills you soon remember how to work. Finally, enjoy it. Remember why you are doing it and who you are doing it for. You have chosen this path – enjoy the ride. In 2016, Mia founded Confidence Bank a daily journal that has been designed to promote confidence and resilience. She is also a practising veterinary surgeon. Mia lives in Leicestershire with her husband, young son and far too many pets.